By now, everyone’s heard that Ford intends to launch a new F-150 hybrid in 2020. We don’t have many details on that truck yet, but did you know that you can buy a hybrid F-Series right now? The truck is not totally built by Ford per se; instead, it’s modified by a Ford-certified company called XL then sold through XL or a Ford Commercial Vehicles dealer. 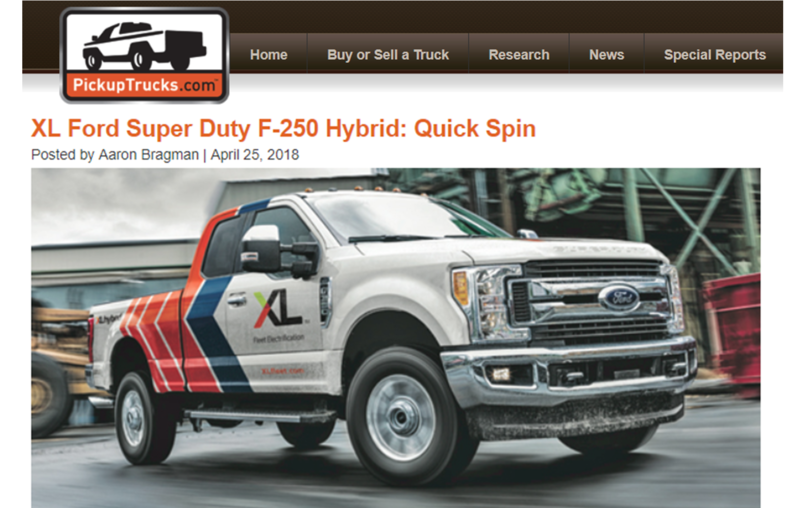 XL makes two models: the F-250 Super Duty Hybrid you see here and an F-150 Plug-in Hybrid that we’ve yet to drive. However, we recently were able to get some seat time overnight in the electrified Super Duty, putting significant miles on it to see if XL’s hybrid system is worth the expense. The F-250 Hybrid starts out as an ordinary gas-powered Ford F-250 — powered by Ford’s venerable 6.2-liter “Boss” V-8 making 385 horsepower and 430 pounds-feet of torque. It’s mated to a six-speed automatic transmission and can be had in two-wheel-drive or 4×4 configuration. In fact, the F-250 powertrain is completely untouched by the XL hybrid system. It doesn’t interfere with the engine operation; it doesn’t ever operate in all-electric mode; it doesn’t even really talk much to the truck. What it does do is listen.